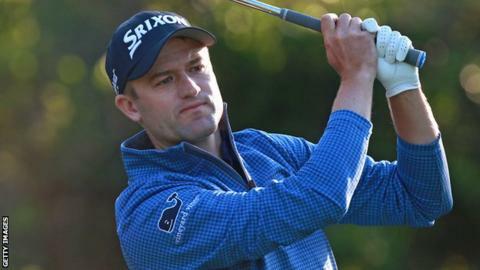 Scotland's Russell Knox produced just the second albatross of his life as he moved into contention in round one of the Valspar Championship in Florida. Knox was two over par when he holed out with his second shot - a three wood from 275 yards - on the par-five 11th. It followed American Harris English's albatross at the Players Championship last week, yet only three were made in all of last season on the PGA Tour. "It's great to go from two over to one under in one hole," said Knox. "That changes your outlook of the day real quick." The 33-year-old - who last won on the PGA Tour in 2016 - ended the day with a four-under par round of 67, tied for third behind American Joel Dahmen and Austria's Sepp Straka, who share the clubhouse lead on five under. The two-time PGA Tour winner explained his only other albatross came during his teenage years when he holed a six iron at his home club in Scotland, where he went on to win. England's Luke Donald bogeyed the final hole to drop to the same mark as Knox, while compatriots Danny Willett and Tyrrell Hatton are on two under after the first day of the tournament, which is held at Palm Harbor. "Honestly my goal this week is to play four rounds and feel pretty good at the end of four rounds and then keep going," Donald said. "But to play well is a nice bonus." England's defending champion Paul Casey compiled a 70 despite having four bogeys on his card.